The Mecablitz touchscreen flagship flash will be available for Nikon, Canon, Olympus, Panasonic, Pentax and Sony this year. 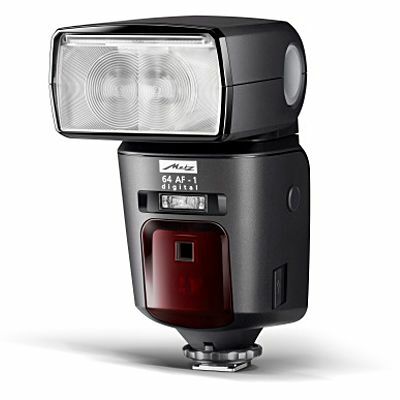 The recently-leaked Mecablitz 64 AF-1 touchscreen flashgun is to be made available for most camera brands this year, according to a Metz roadmap. According to the marketing plan, there will be versions for Canon, Nikon, Olympus & Panasonic (Four Thirds), Pentax and Sony. About the only camera system not included is Samsung NX and some more obscure protocols (e.g. Kodak PixPro). 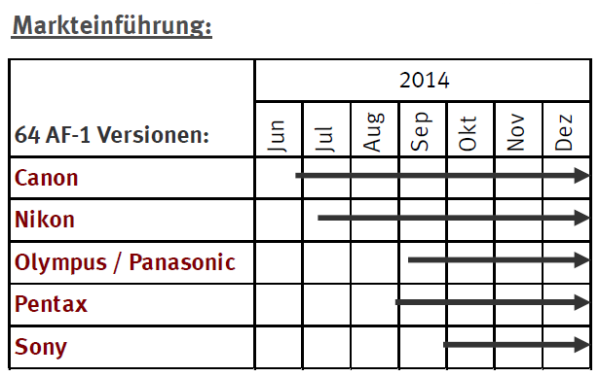 The schedule (reproduced below) shows we can expect a Canon E-TTL version imminently and a Nikon i-TTL one soon after. Four Thirds and Pentax support will come around August/September and a Sony edition (using the new shoe interface) in autumn. For a bit more information on the Metz Mecablitz 64 AF-1’s expected spec list, check our original article. Thanks to Robert for the tip! Touchscreen flashes for the masses! But would you get one? Share your thoughts below.